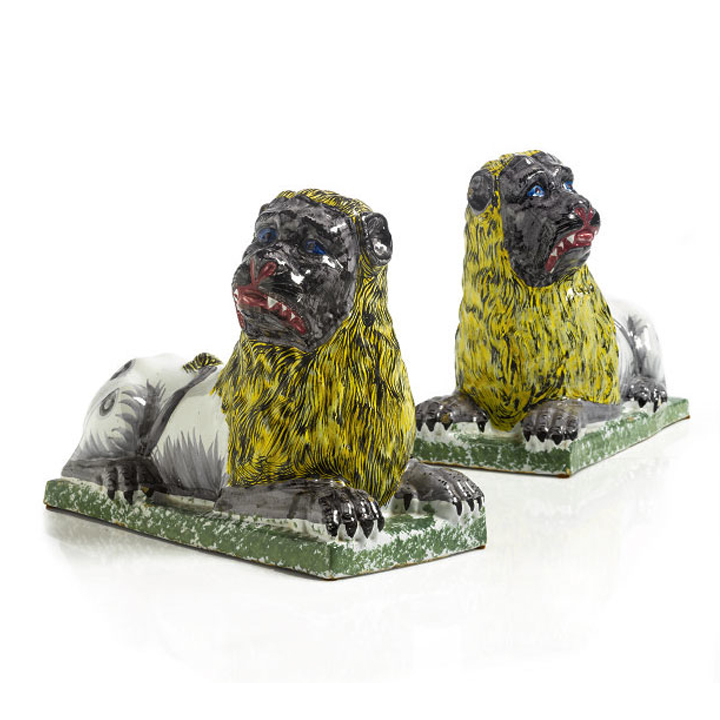 UNUSUAL PAIR OF FRENCH LIONS; each of recumbent form and with amusing primitive faces and yellow manes; resting on green speckled plinths. (Lunéville). 18th Century.